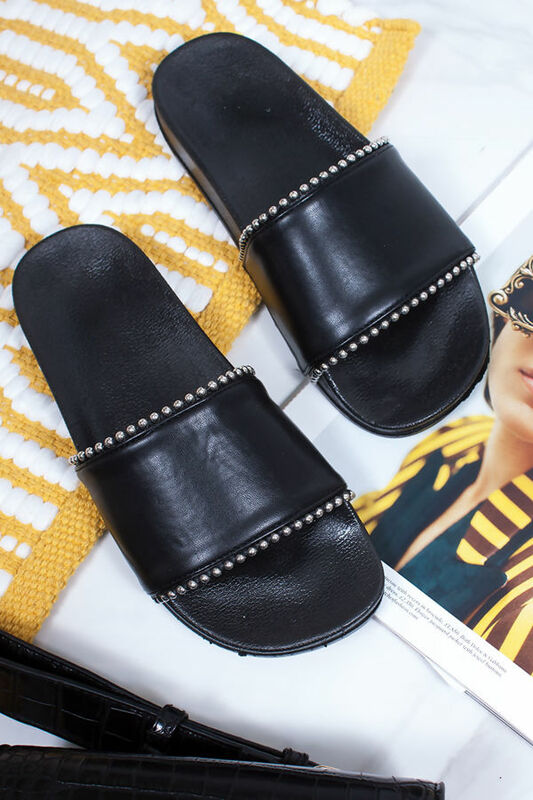 Slide into summer in these chic summer essential sliders! Featuring a slip on design and a studded detailed strap for some seriously extra AF details! We’re styling these with ripped denim jeans and a cropped tee for a chilled out summer vibe! Perfect to take you from the beach to the bar! You’ll be killing’ it all summer long in MADDIE!